If you've ever spent time squinting at your targets after firing a few rounds downrange, you can appreciate the benefits of this .38 Special ammunition from Magtech. 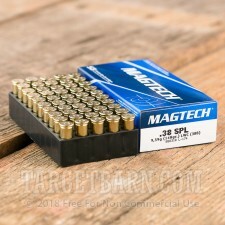 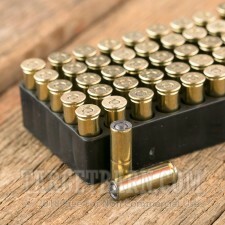 These cartridges come in boxes of 50 and fire a 148 grain wadcutter bullet that punches nice, clean holes in paper targets. This ammo is a standard pressure load that generates a muzzle velocity of 710 feet per second; it produces relatively mild recoil and good accuracy at typical pistol ranges. 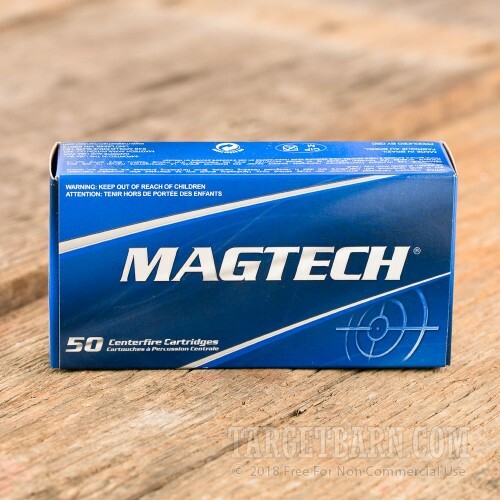 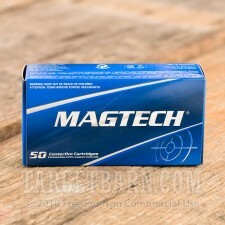 Magtech ammunition is loaded by CBC, a Brazilian defense contractor that also produces its own propellant, non-corrosive primers, and brass cases.